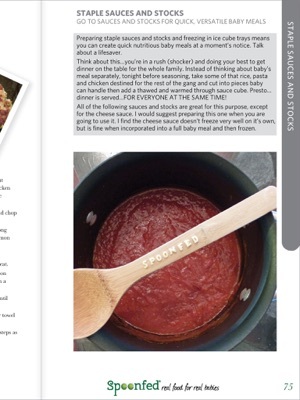 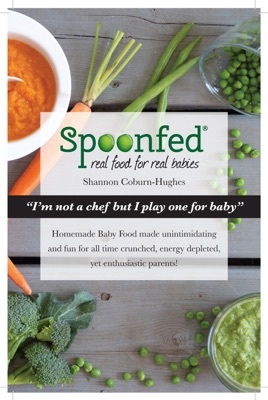 Spoonfed - Real Food for Real Babies baby food cookbook is a light hearted take on sharing homemade baby food recipes and time saving (lifesaving) tips from one energy depleted, yet enthusiastic parent (me) to another (you). 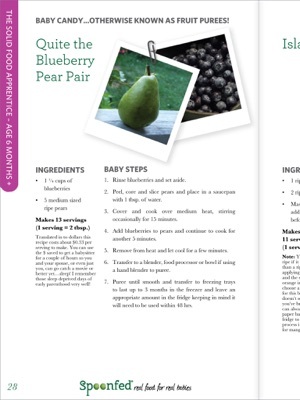 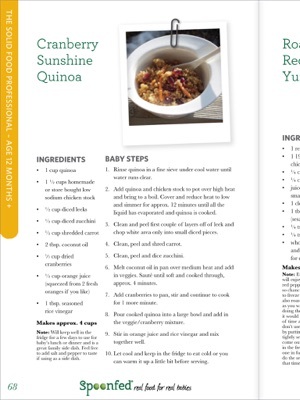 The book takes the reader through an introduction, a bundle of benefits to making baby food at home, food allergy culprits, time saving prep tips, a Simple Baby Meal Plan Chart, stages of feeding, and healthy, simple recipes broken out into the different feeding stages including “The Solid Food Apprentice” - 6 months plus, “The Solid Food Intermediate” - 8 months plus, and “The Solid Food Professional” - 12 months plus. 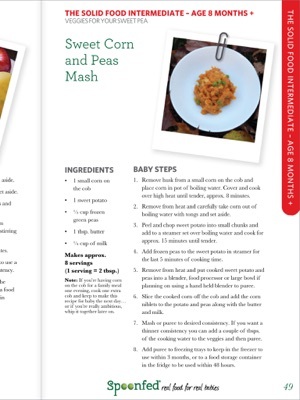 The book has also been reviewed by a Registered Dietician who specializes in pediatric nutrition to ensure credibility and alignment to the most up to date baby feeding recommendations.